Your first 3 Pennsylvania State Inspections are free after you purchase your first oil change at Bianchi Honda1! 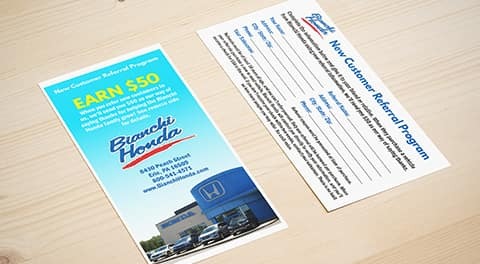 Enjoy 1 free Oil Change for every 4 purchased with the Bianchi Honda Preferred Customer Card! See the cashier to get your free card today! Take advantage of our free car wash2 available to anyone who purchases a new or used vehicle from Bianchi Honda for the duration of ownership! No matter how far your travels take you, you’ll enjoy peace of mind with Honda Roadside Assistance3 coverage. For 3 years or 36,000 miles in the continental United States, help is just a phone call away. Life is busy and we understand completely. That’s why we have a large fleet of service loaners and courtesy shuttles to help you get to where you need to be while your vehicle is being serviced. With over 800 vehicles in stock, we guarantee we’ll be able to find the perfect one for you! We love when our customers refer their friends and family to Bianchi Honda. As a thank you, we’ll reward your recommendation with a $50 Client Referral Bonus4! We have won Honda’s prestigious award 20 times— only one dealership has surpassed our record. The award is given to dealerships with higher standards for selection, service, sales, & satisfaction. 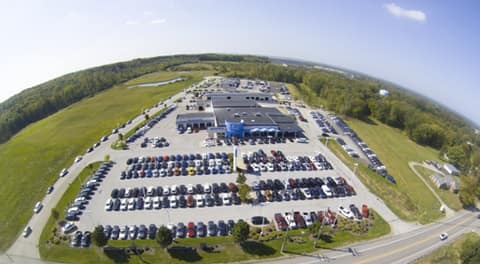 Bianchi Honda is Erie’s Choice for New Car Dealer, Used Car Dealer, Auto Service, & Best Place to Work (26-99). We have won the award 19 times since 2006. Bianchi Honda has been the reigning champ in the Best Car Dealership category since the award’s inception in 2014. Bianchi Honda has received a 2019 DealerRater Consumer Satisfaction Award for delivering outstanding customer service as rated by online consumer reviews. Only the top 150 Honda dealerships in the nation achieve this honor. We took it a step further and earned the distinction of being among the top 50 in this exclusive group. The dealership has earned this award every year since its inauguration in 2016. Bianchi Honda is the ONLY car dealership to earn this award in Western Pennsylvania. We promise to always make it worth a visit! 1First 3 state inspections are free after first oil change. Does not include emissions, parts, or repairs.2$10/wash if you did not purchase your car here. 3Honda Roadside Assistance in included with every new Honda purchase for 3 years or 36,000 miles in the continental US. 4Client Referral Bonus for referral of new customers only.